Did you know that a collection of crows is called a murder? I am fascinated by crows. 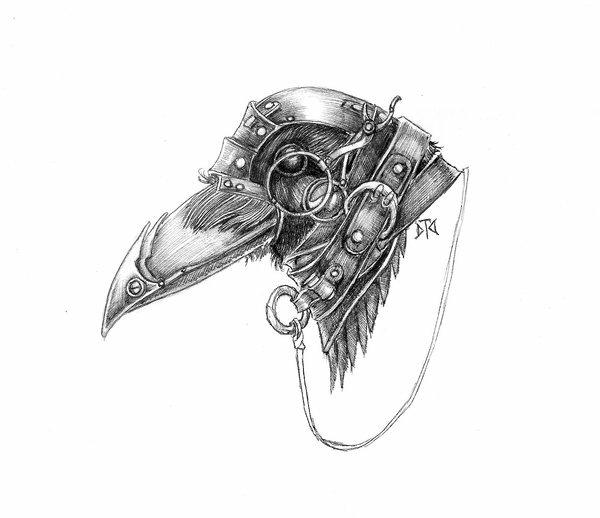 The banner of this Web site features a crow; they are a major motif on my steampunk tattoo. Their intelligence intrigues. Their adaptability amazes. We (well, some of my fellow humans) hold these birds in such ill-esteem and consider humans to be at war with them as we are with so many animals who thrive where we live. They are found worldwide, except for the polar ice caps. How many other animals are as ubiquitous–besides us? They are the smartest birds, and at least one species of crows uses tools, a distinction shared by few animals. The genus Corvus includes crows, jackdaws, and ravens. They have multiple dialects; they talk to each other; they learn from each other; they figure out puzzles at a rate approaching human children. Somehow, they have become token birds of the Steampunk genre, which is, perhaps, part of my attraction to the aesthetic. Despite their harsh call and questionably varied eating habits–they are true omnivores–they have fascinated me since early childhood. Like me, they like shiny things. If I were to adhere to Native American spirituality, I might call them my totem bird. If you, too, are intrigued by crows, consider these videos. The first is the full Nature episode on crows; the second is about 10 minutes from TED Talks. I’m glad that A Word with You Press is back online and better than ever! http://www.awordwithyoupress.com .